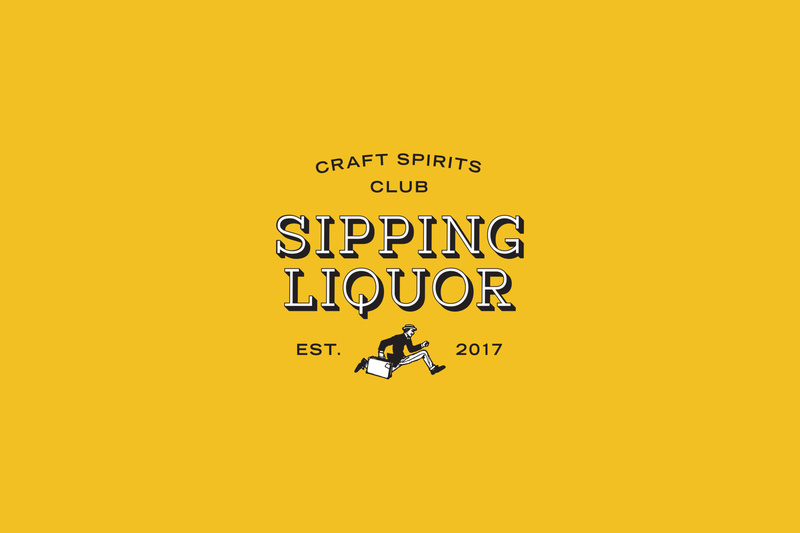 Sipping Liquor is a brand spanking new start-up, having been formed and founded at the beginning of 2017. 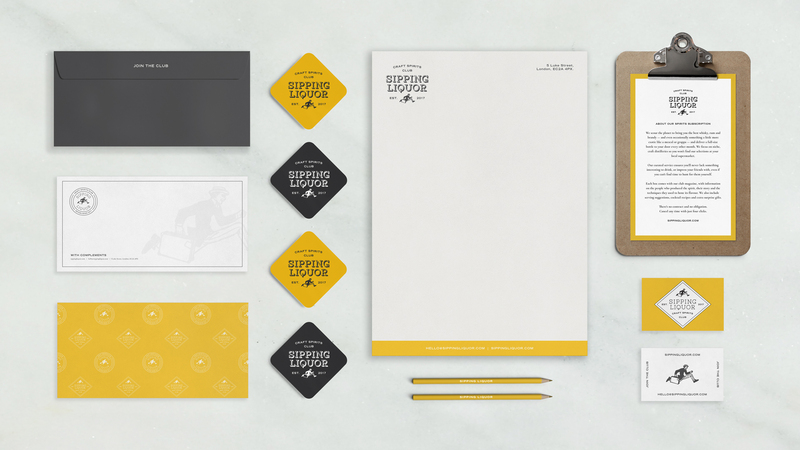 We were asked by head honcho Andrew Rummer to conceive, create and deliver a full brand identity for the company from scratch. 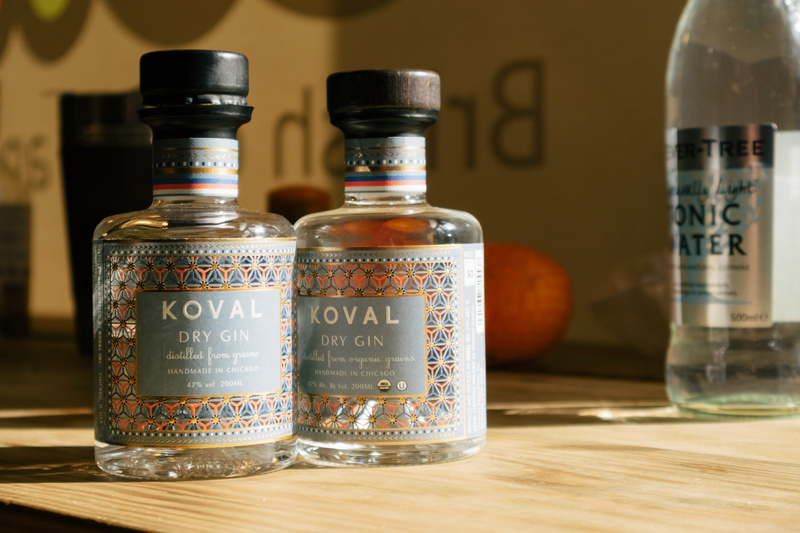 Our approach was to create a modern adaptation of traditional spirit branding, inspired by the heritage of drinking spirits in traditional English members clubs. 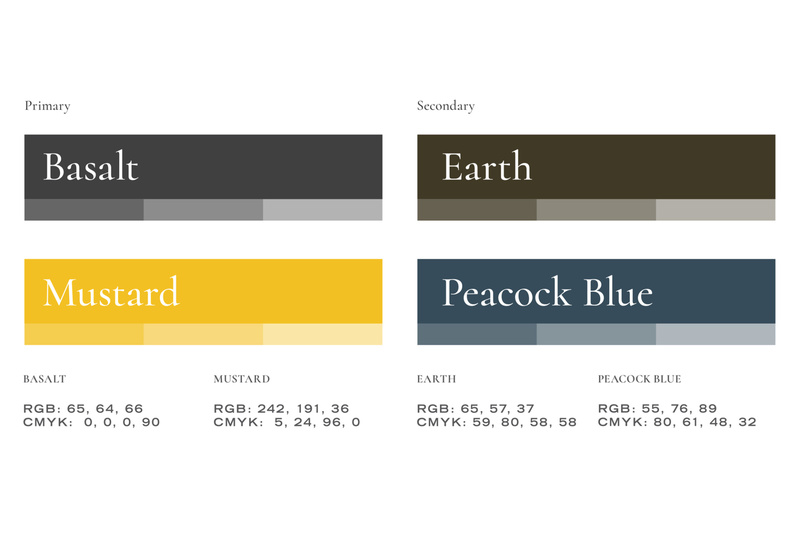 The core brand colour, a rich mustard, was chosen in response to the yellow undertones found in most whiskies and rums, which we looked to compliment with earthy and muted shades. 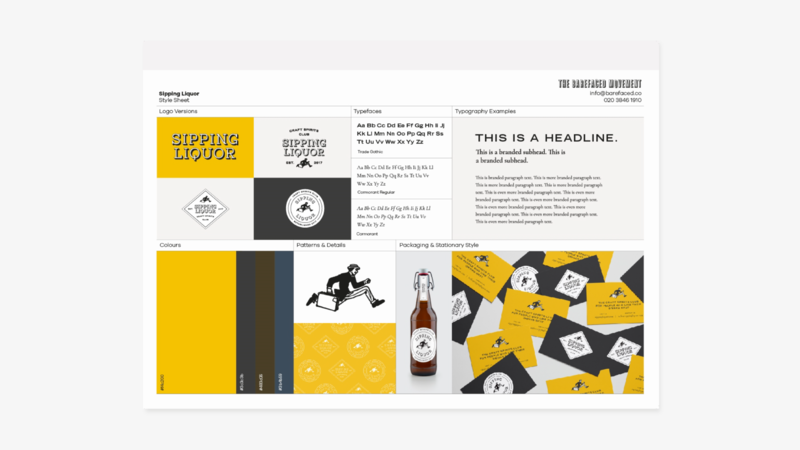 We developed a signifier for the brand in the form of an illustration we named ‘Marvin’, who was largely inspired by Harry Craddock – famed bartender of the early 20th Century and author of arguably the world’s most famous drinks guide the Savoy Cocktail Book. Marvin was drawn running with a briefcase to depict the notion that he’s delivering the latest Sipping Liquor shipments to their customers (aka the ‘club members’). 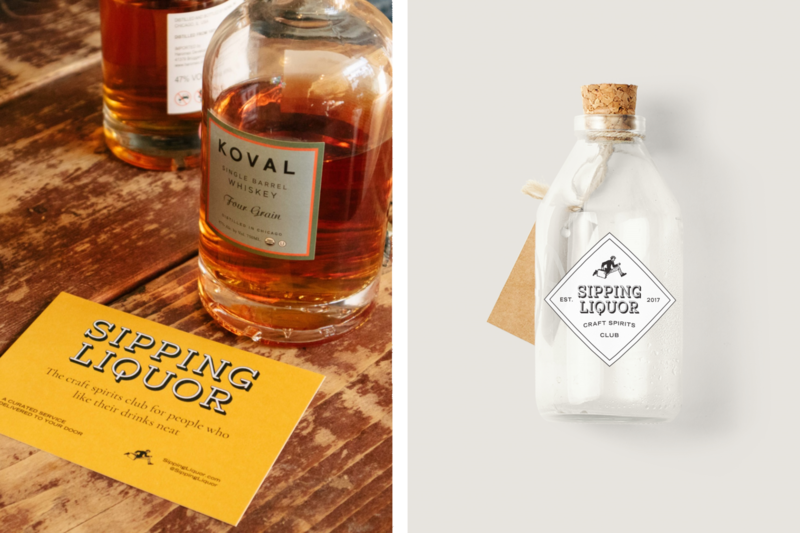 The resulting brand identity embodies the history of the creation and distribution of spirits, coupled with a sense of belonging to a group of like-minded people. The colour palette appeals to the taste buds and signifies the deep, complex flavours found in the spirits sourced by Sipping Liquor. 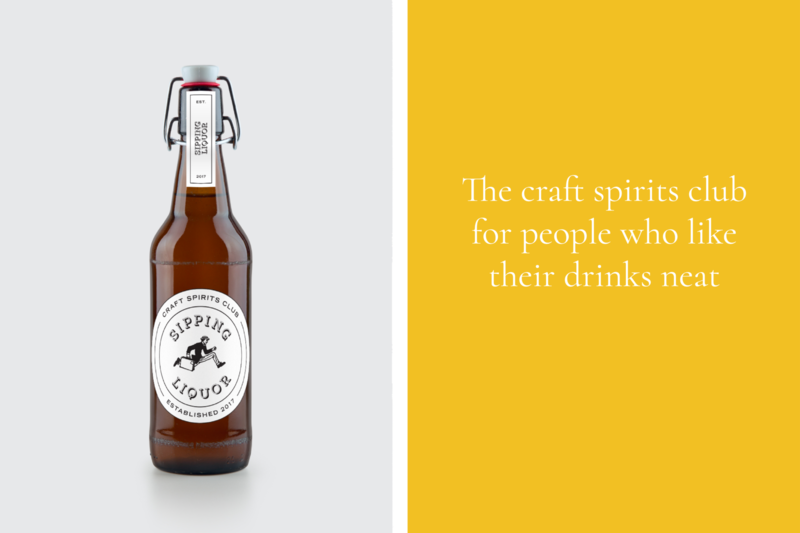 It’s by this reinforcement of flavour visually, in order to trigger as many senses as possible, that Sipping Liquor are able to elicit a deep seated emotional response to their brand among their customers. The illustration of Marvin provides a talking point for the brand, adding an element of fun and a dose of wit (which runs throughout Sipping Liquor’s marketing – check them out, they’re hilarious). One day we hope to add Mabel, Marvin’s best friend, to the brand family.